Earlier in 2018, I made three key predictions on the ecommerce landscape in Southeast Asia. With less than 4 months more till the end of 2018, we have witnessed the fulfilment of two out of three predictions. One of my predictions was that China will increase its investments into Southeast Asia‘s digital economy. This was hugely evident though Alibaba’s involvement in the region’s digital economy. In February 2018, Alibaba upped the stakes into Southeast Asia leading ecommerce, Lazada with an additional US$2bil in investment. Furthermore, the Chinese e-commerce giant appointed its veteran executive Lucy Peng as chief executive to accelerate its growth in Southeast Asia and deepening Lazada’s integration into the Alibaba ecosystem. Alibaba alone has invested a total of US$4bil into Lazada. Chinese Billionaire and founder of Alibaba Jack Ma personally shook hands with the former Malaysian Prime Minister Najib early 2018, launching its first Digital Free Trade Zone (DFTZ) outside China. This was a landmark announcement as it revealed that the e-fulfillment hub will extend across 24,700 acres (almost 10,000ha) and is expected to generate over US$1.58 billion worth of foreign and domestic investment for Malaysia. However in May, Jack Ma’s dream project in Malaysia experienced some uncertainties after Malaysia’s landmark elections. On May 9, 2018, the country underwent a huge political revamp, dethroning a 61-year-rule from the previous political party. 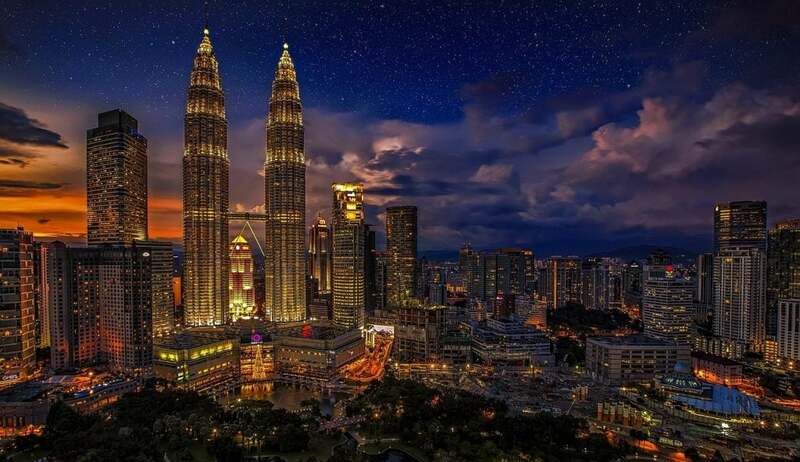 As the new government was formed, it announced that it will review all deals made with China as some were deemed unfavourable to Malaysia in the long term. Included in the scrutiny was Alibaba’s investment into Malaysia with the establishment of the DFTZ with the previous government. Certain critics said the Chinese eCommerce giant held too much control over DFTZ. A similar concern was noted by international players as it is worried with the Belt and Road initiative. Many experts see it as an attempt by China to construct a massive, multi-national zone of economic and political influence with Beijing at its centre. To resolve the uncertainties, sources stated that Mr. Ma intended to meet Dr. Mahathir, the Prime Minister of Malaysia a month after the Malaysian elections to discuss on the matter. However, Ma was unable to meet the Prime Minister due to schedule constraints. Finally gaining an audience with the top minister on June 18, Jack Ma reassured Dr. Mahathir that the Chinese company was eager to help Malaysia through DFTZ as well as various efforts to develop the country. In what seems as a successful meeting, Dr. Mahathir posted on Twitter stating, “We had a good exchange of ideas on a wide range of subjects” and confirmed that the DFTZ project will continue as planned. The relationship between Jack Ma and Dr Mahathir was further strengthened in recent weeks as the Malaysian Prime Minister Mahathir Mohamad kicked off his five-day visit to China with tours of the Hangzhou headquarters of Alibaba on August 18. In a report by SCMP, Mahathir told Jack Ma that Malaysia was keen on adopting its various hi-tech platforms to bolster economic growth. “What you have achieved is quite fantastic … we’d like to tap your idea of modern technology for the benefit of the people” Dr Mahathir said. Why is China Interested in Southeast Asia's Digital Economy? But with such advanced technologies and flourishing population in its home country, one might wonder: What is so interesting in Southeast Asia that has made Chinese companies such as Alibaba pour in huge investments into the region? Apart from the fact that Southeast Asia is geographically close to China, the region has presented huge potential in recent years with an untapped market of 600 million people and a growing middle class. This is highly attractive added that China’s economy is slowing down and Chinese giants (such as Alibaba) are sitting on piles of cash ready to spend on overseas growth. Not to mention, Southeast Asia remains a relevant market for China as it is also home to the largest community of overseas Chinese. Recent figures indicate that there are over 25 million Chinese currently residing in the region. Alibaba’s investment into the region is just the tip of the iceberg. We should expect to see more China-based companies pouring in investments in a bid to dominate Southeast Asia's digital space. Already with a grip on the region is Tencent who has heavily invested into Shopee (ecommerce), Tokopedia (online marketplace) and Go Jek (ride-hailing). Other Chinese giants expecting to enter Southeast Asia could possibly be Baidu (search engine) and Didi Chuxing (transportation). This is highly advantageous for both businesses and consumers as greater access to attractive products and services will be made available to improve the quality of life for all.